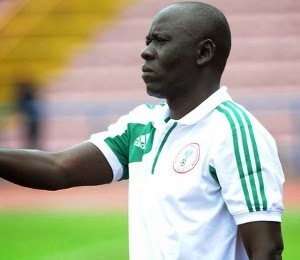 Flying Eagles coach Manu Garba has insisted his team will not let up until they have won the 2015 African Youth Championship in Senegal. New Zealand in May and also the semi-finals of the AYC. “We want to keep winning because we are a team who want to win all our matches,” said Manu. Striker Chidera Ezeh said he was delighted Nigeria are through to the World Cup. “We are all happy that we have already qualified for the World Cup,” said the FC Porto front man.